Fully threaded socket set screw cup point, high tensile grade 14.9, bright zinc plated DIN 916. 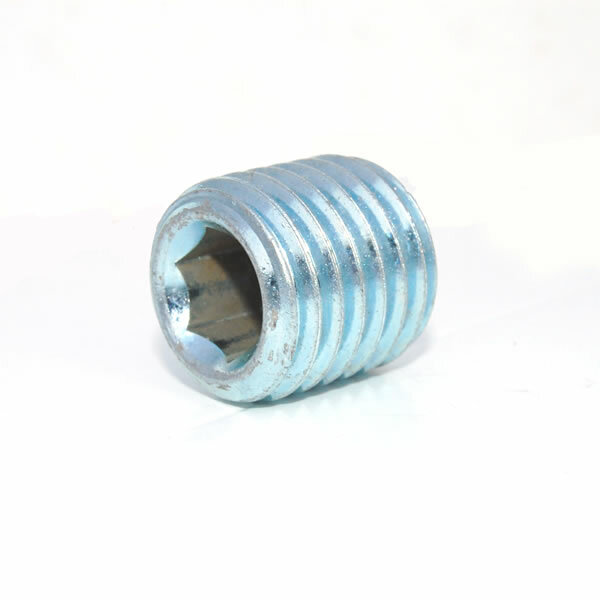 The most common socket set screw, it is used in a variety of applications including against shafts too hard for the knurled cup to function or where there are fine adjustments involved that do not need a locking point. Socket set screws are also called grub screws.